Profit and Loss Statement – This report shows you your income, your operating expenses, and the Net Income or Profit from all your hard work. Analyzing this report regularly will show where you may be spending too much. Balance Sheet – This report shows your Assets such as cash, accounts receivable, inventory, equipment, furniture, building, and land; your Liabilities such as short/long term notes, accounts payable, taxes, and interest; and your Equity in terms of invested capital, and retained earnings. Cash Flow Statement – This report shows how your cash position changed over a period of time. It shows the amount of cash earned from profit, where you received additional cash, and where your cash was spent in terms of operating, investing and financing activities. Two documents that are particularly helpful for New Businesses are are the Start-Up Costs worksheet where you will estimate the capital you will need to open your doors, and the Break-Even Analysis which will show the exact point where you will start making profit after covering all of your operating expenses. 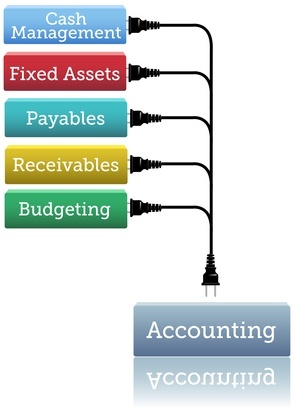 You have many choices when selecting a bookkeeping service. What sets us apart is our tenure of professionalism, passion for accountancy, believing in the value you provide the world, working with you to help you measure your business’ success. We serve a broad range of business client types and sizes, with expertise in various accounting software platforms. Contact MJB’s Bookkeeping Solutions today.